A Residential Specialist since 1986, working with buyers and sellers of condos to investment properties. 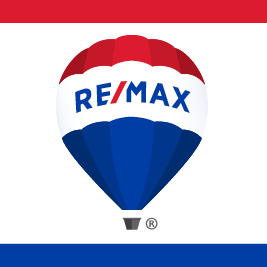 Designations in Certified Residential Specialist, Certified Distress Property Expert, and Broker Associate with Remax Accord. The largest independent franchise with 8 offices covering the entire East Bay. 90% of Ed's business is based on referrals from past and present clients. Before you select an agent, contact Ed for a private interview and see the difference first hand. A native of San Francisco, Ed has always been passionate about real estate. He started out working with his family in managing investment properties and soon became an investor himself. He shares his wealth of experience and talents with his clients and educates them on the buying or selling experience. Over the past 30 years, Ed has mentored new agents and has also given back to the community through his volunteer work with various organizations. A fulltime Real Estate Broker since 1986 with a back ground in Accounting/Tax from San Francisco State University. A native of the Bay Area, Ed just didn't fall into real estate but wanted to establish roots in a business he is passionate about and making friends along the way. Ed services the entire East Bay of San Francisco along the Highways 580 and 680 corridors; Fremont to Danville, San Leandro to Manteca, and Brentwood. The core of his business is within the Tri-Valley including Pleasanton, Dublin, San Ramon, Danville and Livermore. Do You Have A Question for Ed?